This past week I came across a news story that rocked me to the core like I’m sure it did most people. As a mother, especially, anytime I hear of a young, innocent child passing away, I am devastated. Like most parents, when I am witness to the tragic loss of a child, I take it on myself. I imagine what it would feel like to lose one, or even all of my babies. I feel the anguish, the pain, the grief, but then do you know what I do? I push it away. I shove away such awful, unmentionable thoughts, I draw my own chicks closer into my nest, and I sigh a breath of relief that they are there. That is the honest to God truth of it, and I think anyone who has lost a child deserves that honesty. Because you see, I cannot empathize their loss. I am so very sorry, and they have my deepest sympathy and most heartfelt prayers, but I have not been where they are. So I won’t claim I have. 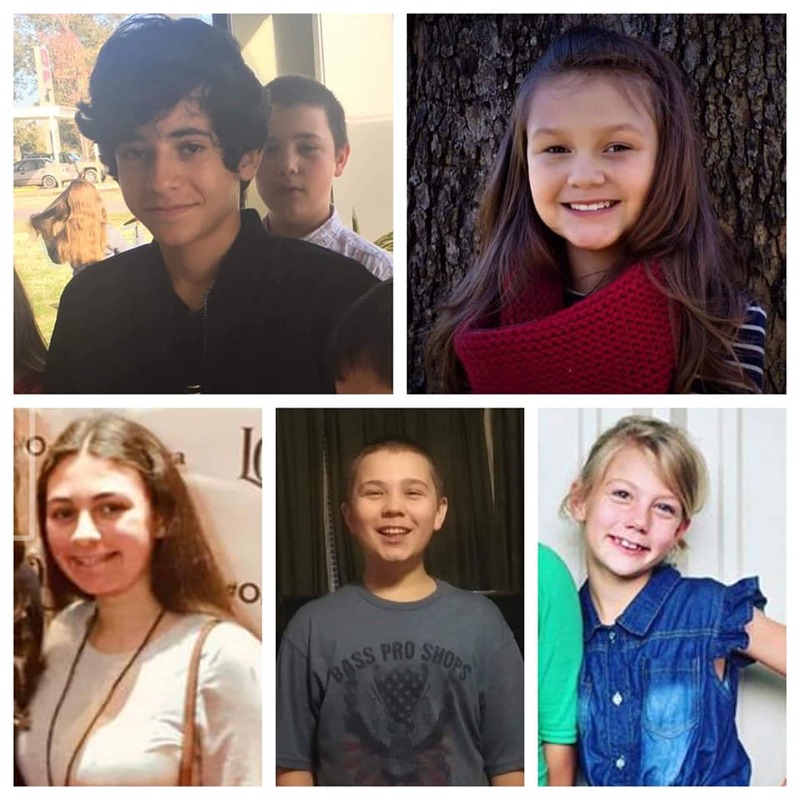 When I recently read the article about the death of not one, but five children in a van crash in Florida, I imagined what the parents must be going through. Many of the parents had not been with them in their last moments of life, and I tried to grasp the emotions that must overwhelm them in their tragic loss. I wondered what I would say to another mother in this situation, and I realized nothing. I had nothing. And although that last thought brings me consolation with the loss of my mother, I know losing a child is different. Or rather, I think I know. Again I come to the fact of not knowing, not knowing what it’s like to lose a child. If I did, so many I’m sure would try to offer comfort, when maybe all I would need most is a listening ear, or a shoulder to cry on. And while it’s true He does, that wouldn’t help the raw grief. And though He brings joy in the morning (mourning) eventually, the pain of loss probably always remains. In such tragic loss, people question God. And you know what? I don’t think He minds that so much. I think He wants us to ask Him. He just wants us to talk to Him about it. About everything. God doesn’t bring pain, God doesn’t bring loss. Sin entering this world brings the things that sting, things like disease, abuse, accidents, and death. Sin and free will bring choices that cause calamity for innocents, but that’s just semantics in this case. Even understanding that God didn’t bring the death of these children would bring little consolation to the parents, nor would it likely lessen their grief. So again I came back to not having the words to bring peace to the grieving parents who have experienced this loss, and when I am at a loss for peace, I go to God in prayer. And when I went to Abba Father I heard two words shout out to my heart. He understood. He understood their loss. He too had lost a child. He could have sent His Son to save us in so many ways, but chose to send Him in a fragile human form. He sent Him to be beaten, broken, and sacrificed for humanity. Yes, He made a choice, unlike the tragic loss most parents here on earth experience when their babies are ripped from their grasp unexpectedly, without permission granted. But still, He felt the same loss. He felt the anguish, rejection, and stabbing pain of death. When no one else could understand, He did. “I understand. I feel your loss, and I experience your pain. No tear you shed is lost on me. I gather each one as sacred, and I hold every trembling hand. Cry, scream, question me, hate me for it, and still I will hold you, and I will love you. I will comfort you in your pain, and my empathy will surround you like a blanket. In your weeping, remember the truth I bring. Feel not guilt for your grief, and don’t think you must hold back your tears. But as you cry allow my truth to console you. My truth is that death is not the end, but only the beginning. The beginning of new life in my presence. My Son sacrificed so all sons might live, all daughters might sing forever, and all pain would be no more.